The Iowa 250 presented by Enogen will mark Cole Custer’s second career NASCAR Xfinity Series start at Iowa Speedway in Newton. Custer is striving to earn his fourth consecutive top-five in the Iowa 250. He comes into Iowa fresh off a third-place finish Saturday at Michigan International Speedway in Brooklyn. Custer is second in the NASCAR Xfinity Series driver standings, 41 points behind series leader Elliot Sadler. While the Iowa 250 will be Custer’s second Xfinity Series start at the .875-mile oval, it will be his ninth overall start there. Custer also has three NASCAR Camping World Truck Series starts and four NASCAR K&N Pro Series starts at Iowa. Custer scored his first career Pro Series East victory Aug. 2, 2013 at Iowa from the pole. At 15 years, six months and 10 days, he became the youngest winner in Pro Series history. In addition to breaking Dylan Kwasniewski’s record for youngest race winner by nearly six months, Custer also became the first driver to lead every lap (150) in the combination East/West race. Custer’s best Truck Series finish at Iowa is second, earned in 2016. Custer finished .431 of a second behind race-winner William Byron. Custer has earned a win, a pole, five top-five finishes, six top-10s and has led 237 laps in his eight career starts at Iowa. He was only one position away in the 2014 Pro Series East race from earning a top-10 in all eight finishes. Custer’s best finish in the 13 Xfinity Series races run this season is second, earned in the 11th event May 26 at Charlotte (N.C.) Motor Speedway. Custer has earned three poles, four top-five finishes, 10 top-10s and has led 100 laps in the 2018 Xfinity Series season. Custer has qualified inside the top-five nine out of 13 races run this season. In 51 Xfinity Series starts, 42 Camping World Truck Series starts and 29 K&N Pro Series starts since 2015, Custer has five wins, eight poles, 15 top-five finishes, 30 top-10s and 963 laps led at tracks currently on the NASCAR circuit that are approximately a mile in length or shorter. 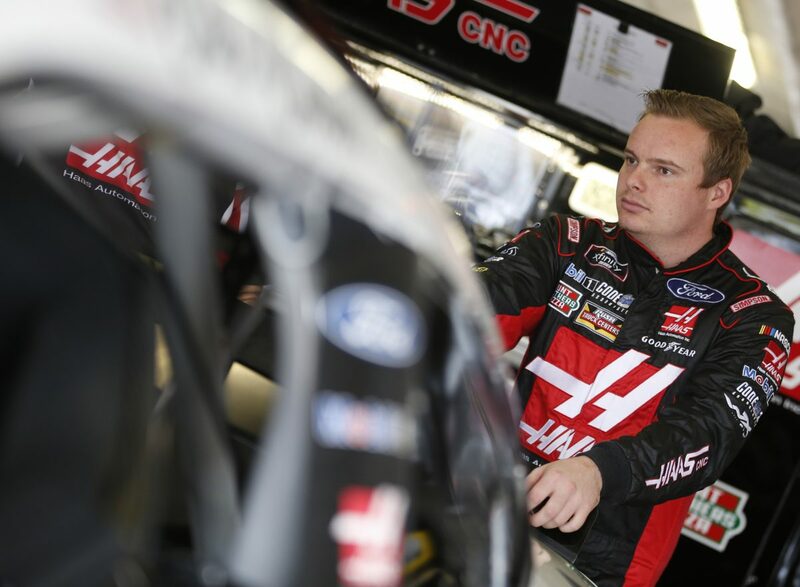 Custer will wear the FOX Visor Cam during the Iowa 250, giving television viewers a behind-the-wheel perspective of the Haas Automation Ford Mustang. No Monster Energy NASCAR Cup Series drivers are entered in the Iowa 250. Is it nice to return to a track where no Cup Series drivers are entered? Do you have to re-learn the original race package after running the different aero package at Pocono and Michigan? What was it like to get your first win and pole at Iowa Speedway while leading all 150 laps to become the youngest winner in Pro Series history? How do you feel about heading back to Iowa and which car are you bringing?